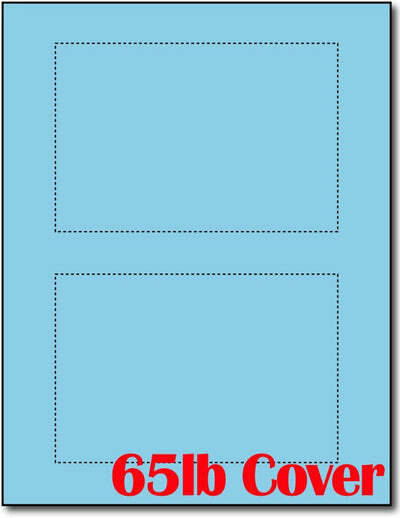 Measurements - 4" x 6"
65lb Bright Blue 4" x 6" Full Bleed Postcards come 2up on an 8 1/2" x 11" sheet. The full bleed style leaves space in between the cards to allows for bleeding printing over the edge of each card. Each post card measures 4" X 6". These postcards are both inkjet and laser printer compatible and are microperforated for easy breaking. Made from 65lb Cover (176 gsm) Bright blue cardstock. These postcards meet all postal requirements for post card rates.